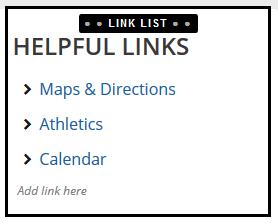 The Link List module makes it easy to present a set of nicely styled quick links to users. To insert a Link List module, follow these steps. 1. 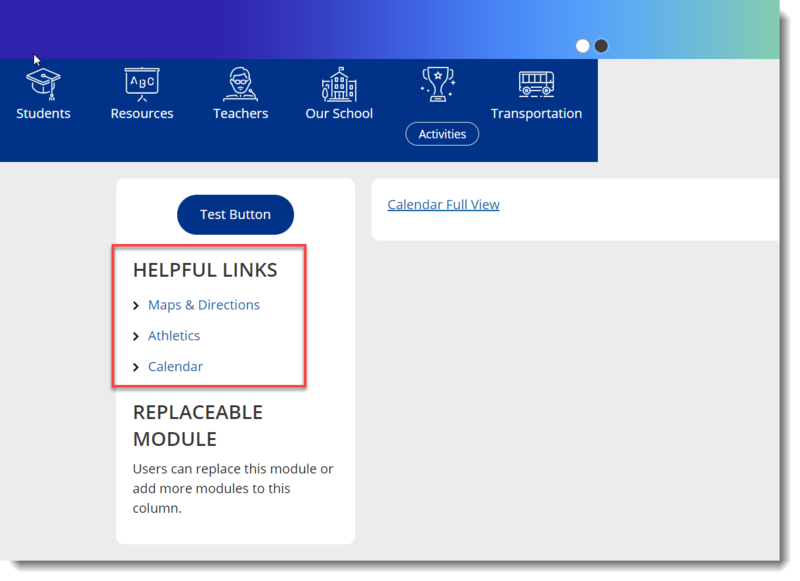 Log in to your School Loop account in order to access Modules. 2. 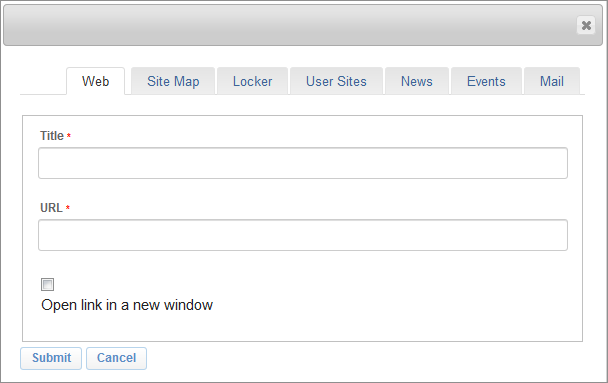 At the Insert Module screen, select "Link List". You can reorder the links by using the drag-and-drop method. 3. Rename the module on the toolbar. This text will appear within the module in all caps. Note: Do not type in all caps, as this represents a 508 violation and will result in an error. 4. Add links by clicking either Link icon. You can click the icon immediately or you can add text first. 5. Add the desired links by using the pop-up window and clicking Submit. You can add links to many sources via the tabs on this screen. 6. Repeat Step 4 to add more links. You can reorder them by grabbing them from the left side. Read the article about Creating Good Hyperlinks for more information. When all steps have been performed correctly, the module should be visible once you publish or view a preview of your page.